Thank you to all of those who have nominated volunteers for the Rising Star Pin, Volunteer of Excellence Pin, Appreciation Pin, Thanks Badge (and Thanks Badge II) or the GSCO President’s Award. It means so much to volunteers to have their contributions acknowledged and celebrated by their peers! There’s still time to submit nominations! Go to the volunteer appreciation page to nominate/endorse a volunteer. Review the volunteer recognition award guide. Already nominated a volunteer but want to know if all requested endorsements have been submitted? Please contact Shannon Weaver, adult experience manager, at Shannon.Weaver@gscolorado.org or (303) 607-4897. All nominators will receive a call from our customer care team, to report the number of endorsements received. The deadline to submit a nomination or endorsement is March 31. If your troop plans include camping or cooking outdoors, you’ll need to take the Cooking and Camping class. The class is taught in-person at outdoor settings around the state. Check our events calendar for classes in March, April, May and June. For questions about in-person volunteer learning opportunities, please contact Brandi Martinez, training manager, at (303) 607-4856, or email atBrandi.Martinez@gscolorado.org. The second round of camp registration opens March 21. If the session your girl was interested in was full, or you couldn’t find the right fit, be sure to check out our additional spaces and new camps. Sky High Ranch April Open House: Sunday, April 28, 11 a.m.-3 p.m. This year girls are headed to South Dakota and will be doing a paddle trip, horseback riding, exploring caves, rock climbing, swimming, having fun at a chuckwagon show, camping and more. Looking for a fun troop activity this April? Check out our Race through Time Troop Camp, April 26 – 28! It’s a three-day, two-night adventure for Junior through Ambassador troops. Girls will get the opportunity to travel through time at Tomahawk Ranch. Space is limited and registration for Single Event Passes are $5 per girl. Prove your camping skills at the 32nd Reach for the Peak! Join Cadette, Senior, and Ambassador troops from around the state for a camping challenge! This fun competition includes camp cooking, knot tying, lashing, first aid, outdoor survival, nature identification, and more! Cost: $25 per person for girls and adults. Fee includes patch, awards, and fun! Save $3 by registering by the early bird deadline, May 3! Bronze, Silver, and Gold Award Girl Scouts have challenged themselves and made the world a better place. Now it’s time to celebrate! A bridging ceremony is an important transition in a Girl Scout’s life. This an opportunity to progress as well as experience more adventures with your troop, learn new skills, and seek new challenges! It’s a defining moment to celebrate girls’ achievements and prepare for new adventures and responsibilities. Once a girl bridges to a higher level of Girl Scouting her leadership skills and the experiences she will have continue to grow. Girl Scouts is not simply an after-school activity, it’s the Girl Scout Leadership Experience that builds as girls progress through the program that gives girls the skills they need to empower themselves to take their place as future leaders. Bridging ceremonies celebrate her next steps to becoming a community leader and being a G.I.R.L. (go-getter, innovator, risk-taker, leader). Troops can host their own bridging ceremonies, or service units might plan a celebration or join us for the statewide bridging event. 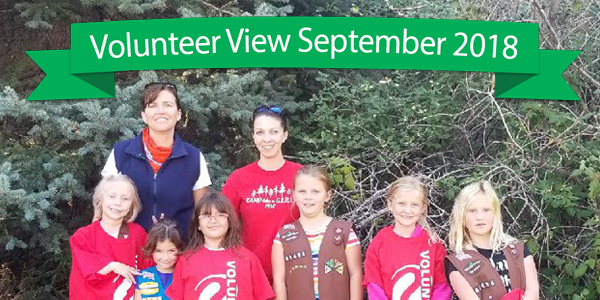 Girl Scout Juniors are invited to Pueblo Zoo to work on their Habitat Badge! Discounted tickets available at $18/person. Fun and educational event for Girl Scouts to learn more about CSU and college in general. Please RSVP to phiepsilonvpcs@gmail.com by March 23. Troop leaders and parents are invited to learn how to enhance Girl Scout’s global experiences with activities relating to badge, patch, and Journey requirements and an introduction to other Global programs for girls at every grade level. Smart Cookie emails are sent every Monday during the cookie program and contain all the information you need for success. Not receiving Smart Cookie? Contact your VSS. Council Booth sales start on February 15. While girls are out and about selling Girl Scout Cookies, they often get asked about Girl Scouting in general, and we want everyone to know that Girl Scouts is about so much more than selling cookies! Let’s show all our cookie customers how the world’s largest girl-led entrepreneurial programprepares girls to lead, learn, and succeed all while making it possible for them to embark on amazing adventures, form a lifetime of memories, and unleash the power of G.I.R.L. (go-getters, innovators, risk-takers, leaders)™ to change the world. Share this two-sided sheet with girls and families for tips on how to answer “Why Girl Scouts?” like a pro! Troop volunteers can also take a look at this Booth Essentials sheet to prepare for scenarios that sometimes come up while selling cookies. Check out the rest of our cookie program information and resources. Online training classes are now available on your phone! Mobile accessible courses include Nuts and Bolts (for new leaders), Experienced Troop Cookie Manager training and cookie program enrichment classes. You can view the classes, take quizzes, and download class resources and completion certificates, all on your mobile device! Head over to the GSCO eLearning site to complete your training classes. If you need assistance accessing our eLearning site, please contact Shannon Weaver, adult experience manager, at (303) 607-4897 or email her at Shannon.Weaver@gscolorado.org. Join us at our upcoming Outdoor Program events! You can find all of our year-round events on the blog. Our free open houses are a great way to help your camper prepare for camp, and you too! Take a staff-led or self-guided tour of camp, get those burning questions answered, and help little ones feel comfortable to attend camp this summer. Visit the different sleeping and program areas to get an idea of what the summer ahead looks like. Staff from Mountain Berry Culinary will also be available to answer any meal-related questions. Let’s bring on summer! Open to all ages. Tomahawk Ranch Open House: Sunday, February 24, 10 a.m.-3 p.m.
Sky High Ranch Open House: Saturday, March 9, 11 a.m.-3 p.m.
Our entire group will go dog-sledding and cross-country skiing on wintry trails. In the evening we will have a group pool party and roller-skating night. Everyone loved this event last year so much we are doing it again! We partnered with Keystone Science School for a weekend of play in the snowy mountains! You’ll cross-country ski, snowshoe, use an astronomy telescope, and compete in a winter Olympics challenge. Program Level: Cadette (sixth grade). Archery Training: This Level 1 USAAA Archery Training will allow you to lead your troop in archery and reserve the statewide archery set. Calling all Girl Scouts who want to increase their outdoor skills and abilities! Girls will learn or improve skills including knife-craft, using a compass, fire building, setting up camp, leaving no-trace, planning a camp out, and much more! Program level: Girl Scouts first grade and older, no experience necessary. Cost: $17/girl, includes hot lunch and outdoor skills patch. Girl Scouts who are working on their Bronze or Silver awards have until March 1 to submit the Bronze and Silver Notification Form to be invited to the 2019 Highest Awards Celebrations. Find a celebration in your area. Questions? Kaitie LoDolce, highest awards manager, at highestawards@gscolorado.org. See event flyer on the online calendar for discounted ticket details. Deadline to order tickets is February 25 at 12 p.m. Girl Scout Juniors are invited to the Pueblo Zoo to work on their Habitat Badge! Cheer on the Nuggets as they take on the New Orleans Pelicans. Tickets are on sale now. 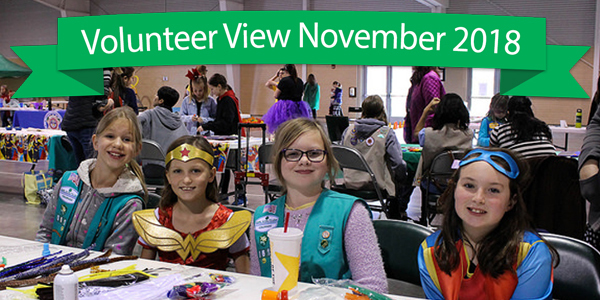 With the holidays and winter coming, many people want to retreat indoors … but not Girl Scouts! Plan a trip with your girls to Aspen for the X Games on January 26! All Girl Scouts are invited to an exclusive viewing section for the Women’s Snowboard Slopestyle Final and the Women’s Snowboard SuperPipe. Girl Scouts will have an opportunity to meet and greet with the female athletes and find out which ones boosted their courage as Girl Scouts! Register today. Sixth graders can spend a weekend at Tomahawk Ranch practicing primitive wilderness skills, outdoor cooking and working on their Cadette-level Trailblazing Badge, January 12-13. Seventh grade girls and older will head to Sky High Ranch for snow-shelter building, snowshoeing and even some human curling on the frozen pond,January 26-27. Or, Girl Scout families can get in on the winter action at Me and My Gal, January 18-20 at Tomahawk Ranch or Expedition Antarctica Me and My Guy, January 18-20 at Sky High Ranch. Has your service unit grown over the last year? Girl Scouts of Colorado wants to reward you! Service units who see a growth of at least 10% from March 4, 2018 to March 3, 2019, will receive $100 plus $0.25 per registered girl. Service units must have a bank account and a current ACH to receive their incentive. Service unit growth will be evaluated on March 4, 2019, and incentives will be deposited into the service unit’s bank account no later than April 1, 2019. Contact your volunteer support specialist with questions and to find out how many girls your SU would need to have registered to earn this incentive. The cookie program begins February 3! Are you ready? Make sure your troop has a current ACH and signed TCM Agreement . Check out our event list to find a training or cookie rally near you! Nominations are due on or before March 31 of each year. The form to nominate a volunteer for an award will go live in January. Now would be a great time to designate a service unit team member to coordinate nominations and endorsements! Girl Scout volunteers change the lives of girls in their communities every day. Some volunteers go above and beyond all expectations and have a positive impact on their troop and/or their service unit and sometimes the whole council. Recognize an outstanding volunteer by nominating them for a Volunteer Recognition Award. Nominators are responsible for ensuring that enough endorsements are submitted to support their nomination of a volunteer for an award. Your volunteer support specialist can check nomination and endorsement submissions for you, or you can contact Shannon Weaver, adult experience manager. More information about the awards, and the number of required endorsements for each award, is listed on the volunteer appreciation page on our website and in the Volunteer Recognition Award Guide . You can also learn more about how to write strong nominations and endorsements. Have you checked out the improved Volunteer Toolkit? Changes were released this summer to make accessing content easier for all experience levels. Use this handy guide to walk you through the new features. Insider tip: Check out the Resources tab for easy access to Cookie Program resources! Troops working on their Bronze or Silver awards have until March 1 to submit the Bronze and Silver Notification Form to be included in the 2019 Highest Awards Celebrations. Girl Scout Juniors (4th and 5th grades) are invited to the Pueblo Zoo to work on the Habitat badge. Girl Scout Juniors will earn their Cybersecurity 1: Basics badge with Coalfire, a cybersecurity company in Westminster. Archery training is required for adults who wish to take Girl Scouts (Brownie through Ambassador) archery shooting in any way. You will be able to lead your troop in archery and reserve the statewide archery set. Questions? Marissa Rooney. No one is better at recruiting new Girl Scouts than current Girl Scouts! Troops who host a recruitment event between October 22 and December 9, 2018, will be provided with recruitment resources and a $50 credit to the Girl Scouts of Colorado shop as a thank you. In order to receive the $50 shop credit, troops need to complete four simple steps. Contact your local Volunteer Support Specialist with questions and to find out how many girls your SU would need to have registered to earn this incentive. Thank you for an amazing fall product program! Girls should deliver fall product items this week, and rewards will be delivered to service units during the week of November 26. This is the time to decide who your troop cookie manager is going to be. They need to be a registered and background checked Girl Scout volunteer. One troop cookie manager per troop; the agreement can only be signed by oneperson. (Training is required for all TCMs. First and second-year TCMs are required to attend in-person training either with SUCM or at Cookie University. Experienced TCMs may take online trainings). Get more information about Cookie University! In order for your troop to have access to eBudde (our cookie management program) you must have a TCM agreement on file as well as a current ACH form. You will not be able to complete your initial order or any other actions before this is completed! The IO is due January 14, remember the initial order is guaranteed! Join us at our upcoming Outdoor Program events! Visit our page to find all of the exciting year-round events. Sky High Ranch Tree Lighting and Brunch December 2, Sky High Ranch, Woodland Park: Celebrate the beginning of the holiday season by joining us at Sky High Ranch for our annual Tree Lighting ceremony. This community/family event is fun for all ages! We’ll have a buffet, family photos, ornaments, a visit to the Holiday Barnyard, hot drinks and GOODIES! Brunch and Barnyard with Santa December 9, Tomahawk Ranch, Bailey: A fun community event for all ages! Eat a delicious brunch buffet and visit and take photos with Santa. Listen to his tales of adventure while savoring sweets and lollies aplenty. Even warm up with hot cocoa and cider after a visit with the barnyard animals. Expedition Antarctica Me & My Guy January 18-20, Sky High Ranch, Woodland Park: Are you ready to test your mettle against the elements?! Join us for an introduction to winter camping at Sky High Ranch for you and your guy! This Friday-Sunday excursion will introduce cold-weather tent camping, basic survival skills, and tips and tricks of the trade. Weather depending, we will practice snow skills such as snowshoeing, shelter building, and ice fishing. If we don’t have enough snow, we’ll do more general survival skills and camp activities such as archery and farm. Me & My Gal January 18-20, Tomahawk Ranch, Bailey: An exciting two-night camping experience for individual girls and the significant female adult role models in their lives. Planned activities may include archery, crafts, hiking, stargazing, s’mores, barn visits, dance party, mattress surfing and more! Cost: $110 per person, this includes all activities, a two-night stay, five meals, and snacks. After taking GS 101 and Nuts and Bolts online, register for program level 101 training. Below is the upcoming training class calendar for volunteers. To register, click on the class title or go to our events calendar on the GSCO website, and select the class you want. Effective October 1, 2018 Gold and Silver award projects can be for the benefit of the Girl Scouts community. Please send anyone with questions directly to our highest awards manager at highestawards@gscolorado.org. Any troop that is considering a Silver Award project that would solely benefit theGS community should run their project idea by our highest awards manager prior to starting. Gold Award Girls to Attend Michelle Obama Book Tour! 20 active Gold Award girls are attending an Intimate Talk with Michelle Obama on December 15 thanks to Stephanie Foote & GSUSA! Wednesday, December 5 from 6-9 p.m. (webinar) – Registration is open through the event page. Monday, December 10 from 6 – 9 p.m. at Castle Rock Library (in person) – Registration is open through the event page. Cadette, Senior and Ambassadors: Join Rainbow Alley youth leaders for LGBTQ+ Youth 101 and Alleyship training that will provide an understanding of LGBTQ+ terminology, current trends and statistics, the six spectrums of gender and sexual orientation, and to highlight the importance of demonstrating alleyship to their peers. While this training is geared towards youth, adults may attend virtually to receive the information. Registration is required for both options. Sign-up today before spaces fill up! Register now for Packing for Impact! Project C.U.R.E.’s Packing for Impact is back! Packing for Impact is an opportunity for Girl Scouts from all over Colorado to come together to change the lives of families around the world by filling Kits for Kids, engaging in fun activities, and learning about the children around the world that they will be helping. Multiple shifts are available throughout the day on December 1 at Rocky Mountain Hospital for Children. This is a great event for girls of all ages, from across the state to join together in making the world a better place! Registration closes November 27. Details coming late 2018! Email aimee.artzer@gscolorado.org to be added to the interest list. Fall Product Program begins September 22! Get ready to soar above and go beyond! The Fall Product Program starts September 22. In-person order taking runs through October 14. Online order taking ends October 29. All troops must have a completed ACH form for the 2018-19 membership year in order to participate. S’mores Club is exclusively for Girl Scouts of Colorado girls and adult volunteers who rock both the 2018 Fall Product and 2019 Cookie Programs! Make sure your troop participates in the Fall Product Program so you can join the club. Get energized for the new membership year! Meet other volunteers, share your ideas, get your questions answered, and enhance your skills by taking classes that support your experience as a volunteer! 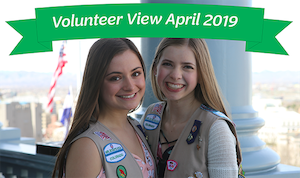 Networking opportunities and a variety of volunteer training and enrichment classes will be offered for new and experienced leaders, along with classes for Girl Scout Cadettes, Seniors and Ambassadors. Volunteers are welcome to register and attend any of the final Leadership Summit and Super Saturday training events. Check the events calendar on the GSCO website to register. Sept. 29 – Denver – Register Now! Sept. 29 – Durango – Register now! Oct. 20 – Grand Junction – Register now! Questions? Please contact Shannon Weaver, adult experience manager. The Outdoor Adventure Club’s 2018-2019 season starts in September with our first events taking girls canoeing, shooting archery, and mountain biking! Sign up for our single event interest list, see upcoming dates and get more information. 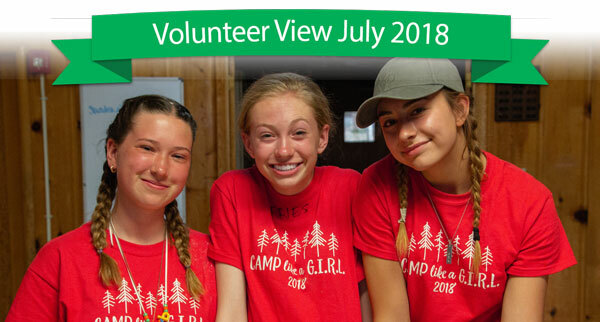 ​Is your volunteer group or older girl troop interested in running a day camp for girls outside of your service unit in summer 2019? Volunteer-run camps can be a money-earning or leadership opportunity for older girl troops, and help support the statewide outdoor program offerings. Camp submissions are due October 8 to be included in the camp mailer. The first step for new or interested camp directors is to meet with Anna Danila, outdoor program manager. Email Anna for more information. All girls who have bridged to Cadettes or Seniors have until Sept. 30 to notify GSCO they have earned their Bronze or Silver Award, respectively. Fill out the online Bronze or Silver Award notification form to let us know that your girls have earned a highest award. Any Girl Scout who is a senior in high school and considering earning her Gold Award needs to start the Gold Award process NOW! With less than six months to the Highest Awards celebration deadline (March 1) and a year until the final cutoff for Gold (September 30), seniors in high school are quickly running out of time to earn their Gold Award. Girls who are currently in grade 12, must submit a Gold Award project proposal by May 1, 2019. After May 1, they are no longer eligible to earn their Gold Award. Fall Product Program training is live on our eLearning site. This training is for service unit fall program managers and troop fall program managers. The training consists of three parts: girl view access: volunteer view access; and council specifics, such as deadlines, proceeds, rewards, and the S’mores Club! Volunteers must view the entire training video and pass the quiz at the end, in order to complete the course and get their certificate. Troops participating in the Fall Product Program, can earn proceeds to fund their activities and meet the requirements for being part of the S’mores Club – earning special rewards. 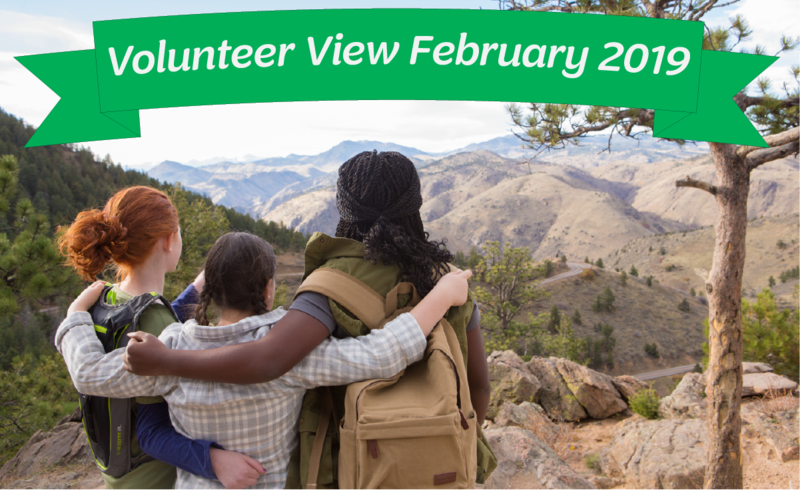 Membership Connection Committee will be at all Leadership Summits and select other training events to conduct Voices 2018 while surveying members on a range of topics designed to provide feedback to the Girl Scouts of Colorado Board of Directors and senior council leadership. Your feedback is valued and important, please plan to stop by and visit with us and express your opinion! Interested in learning more? Search the GSCO Blog for “MCC” or visit us online. You can also contact the MCC Chair, Caroline Cornell for additional information. We have created a BAND site for networking with older girls, families and leaders across Colorado. Request to join by completing a couple quick questions to check that you are affiliated with Girl Scouts. Cheer on the The Mavericks as they take on Westminster College. Representatives from local STEM-focused organizations will lead hands-on activities for Girl Scouts! Girls ages 12-18 will connect with professional women in a variety of fields of work, giving them a unique opportunity to learn directly from incredible women in our community. Networking opportunities and a variety of volunteer training and enrichment classes will be offered for new and experienced leaders, along with classes for Cadettes, Seniors and Ambassadors. Volunteers are welcome to register and attend any of the Leadership Summits and Super Saturday training events. Questions? Please contact Shannon Weaver, adult experience manager, at (303) 607-4897 or email. Looking for a way to grow your leadership skills? Older Girl Advisory Board (OGAB) applications are open! OGAB members play an integral role in the enrichment of girl experience across Colorado through planning retreats and monthly virtual meetings with council staff. Check out what graduating Seniors Bailey and Emma said about their experience in OGAB, then apply. Applications with two references are due by September 18. Interested applicants can find more information and link to the application on the Older Girl Advisory Board section of our website. Questions? Contact Emily Speck, emily.speck@gscolorado.org 303-607-4811. The Girl Scouts Fall Product Program is a great way for troops to earn start-up funds for the year. All troops receive 13% of their magazine orders as troop proceeds, plus $1/item for nuts and chocolates. Don’t forget your Troop ACH form must be filed to participate. Fall Product Program materials will be shipped directly to troops, and trainings for service unit fall product managers will be in early September. Girls and adults who continue to achieve S’mores Club status will receive new charms for their bracelet special for the 2018-19 GSCO program year. New members to the S’mores Club will receive their bracelet along with the special charms unique to the 2018-19 GSCO program year. The Outdoor Adventure Club’s 2018-2019 season starts in September with our first events take girls canoeing, shooting archery, and mountain biking! Sign up for our single event interest list, see upcoming dates and get more information. Girl Scouts of Colorado is thrilled to publish new Gold Award rubrics for girls around the state to use to make their Gold Award journey successful and rewarding. The document includes a rubric for initial proposal approval and final approval, so girls can understand exactly what is expected of them throughout their Gold Award journey. 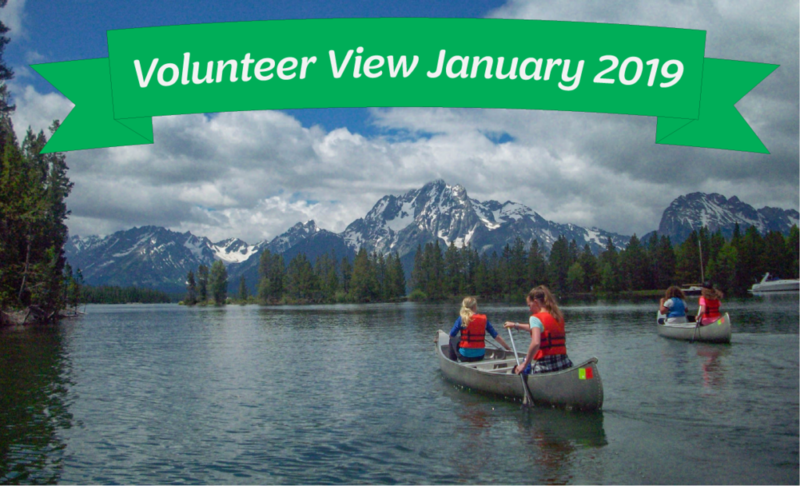 Membership Connection Committe will be at all Leadership Summits and select other training events to conduct Voices 2018 while surveying members on a range of topics designed to provide feedback to the Girl Scouts of Colorado Board of Directors and senior council leadership. Your feedback is valued and important, please plan to stop by and visit with us and express your opinion! Strengthen your outdoor skills and ignite your passion for environmental stewardship at the 2018 Older Girl Outdoor Journey Weekend at Sky High Ranch on September 21-23, 2018. Girls will complete Outdoor Journey components* through a weekend full of incredible activities, such as night hikes, preparing for backcountry camping, creating outdoor art, and camping outdoors. All girls will be participating in the Outdoor Journey but will complete specific badge work depending on their program level. Cost: $90/ girl, $50/ PA who are volunteering, $40/adult. Register today before spots fill up! *Girls should plan to complete their Take Action project on their own outside of Journey Weekend. Girl Scout Day with the Colorado Rockies, Denver. Cost: Tickets range in price depending on seat location. Come cheer on the Rockies as they take on the St. Louis Cardinals. Girl Scouts can participate in a pre-game parade and get a special event patch. Last year tickets sold out before the game, so get your tickets early this year here and use promo code GS2018. A portion of ticket sales will be donated back to GSCO. Want event details delivered to your inbox weekly? Sign up for theEvents email at gscoblog.org. You’re more than a Girl Scout. You’re a G.I.R.L. We believe there’s no such thing as too much. That there’s no excuse for making excuses. Our strength doesn’t come from how much we can lift, but from how often we can lift ourselves back up. We are everyday optimists. Adventure seekers. Problem solvers. We are girls, troop leaders, mentors, advocates, parents, Girl Scouts. We are G.I.R.L.s (Go-getter, Innovator, Risk-taker, and Leader). We will not stop. In fact, we’re just getting started. If your troop is able to host a recruitment event in your area, please contact your VSS. Passports for the 2018-2019 Outdoor Adventure Club season are available through August 8. Purchase your older Girl Scout’s passport now to attend year-round high adventure events across the state. Sign up now for the Summer Heat Taster on Wednesday, July 25, 9 a.m – 5 p.m. at the Colorado Springs Fire Department Tower! Female firefighters volunteer their time to teach girls firefighting and leadership skills. Girls wear real firefighting gear while learning and working through a series of fire-related challenges. This event is open to Cadette girls going into 8th grade in fall 2018 and Seniors and Ambassadors. Troops can attend together, but girls will register individually. Additional adults for supervision are not required at this event, but if interested can register as a volunteer. Inside Scoop: Coming summer 2019, a week long summer heat fire camp! Want more than the taster? A full week of fun activities such as: an aerial ladder climb; search and rescue techniques; vehicle extrication; and working with hose lines while suited up in protective firefighting gear and breathing apparatus. The highlight of the week is a live fire exercise where the Summer Heat participants will extinguish a real propane fire! There is no physical requirement to participate in this camp. Want to feel confident about handling conflict situations in your troop? Log in to our online learning site to access our Conflict Fluency training. The class offers guided instruction on managing and resolving disagreements, along with a workbook you can download, which offers a variety of situations and solutions to handle issues as they arise. Want to make managing troop funds easier? Cheddar Up partnered with Girl Scouts of Colorado to create a custom collecting platform, and a class to show you how to use it! The platform helps troops move money collecting online, and you can use it for troop dues, payment for field trips, or to collect payment for troop special events. Having an online payment option makes the task of collecting payment significantly easier and more secure for troop leaders. Plus, there’s a built-in tool to send out payment reminders! Go to our eLearning site today and check out the Cheddar Up Financial Literacy in a Digital World training video. Be sure to also take a look at the troop budgeting spreadsheets, found in the “resources” section of the course! Questions about GSCO eLearning or the Volunteer Toolkit? Please contact Shannon Weaver, Adult Experience Manager. 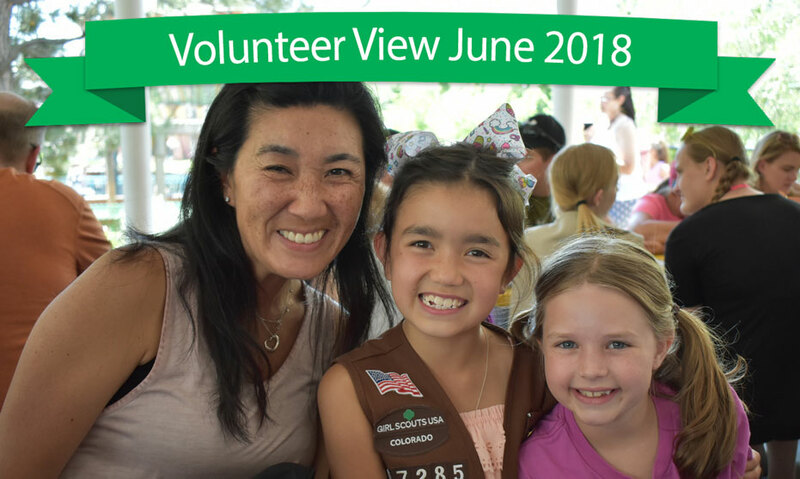 Networking opportunities, a variety of volunteer training, and enrichment classes will be offered for new and experienced leaders, along with classes for Girl Scout Cadettes, Seniors, and Ambassadors. Get energized for the new membership year by meeting other volunteers and enhancing your skills by taking classes that support your experience as a volunteer! Registration and full details coming soon! MCC will be at all Leadership Summits and select other training events to conduct Voices 2018 while surveying members on a range of topics designed to provide feedback to the Girl Scouts of Colorado Board of Directors and senior council leadership. Your feedback is valued and important, please plan to stop by and visit with us and express your opinion! Ready for some outdoor fun?! Older Girl Journey Weekend is September 21-23 at Sky High Ranch. Cadettes, Seniors and Ambassadors will strengthen their outdoor skills and ignite their passion for environmental stewardship as they earn components of the new Outdoor Journey. Cost is $90/girl and $40/adult chaperone. There are a limited number of Program Aide (must have completed internship) spots at $50/girl. This is a drop-off event, registered adults will be expected to assist in supervision of girls. Looking for a way to grow your leadership skills? Older Girl Advisory Board (OGAB) applications are open! OGAB members play an integral role in the enrichment of girl experience across Colorado through planning retreats and monthly virtual meetings with council staff. Check out what graduating Seniors Bailey and Emma said about their experience in OGAB, then apply with two references are due by September 18. The 2018 Safety Activity Checkpoints are now available on our website. Please check this resource before planning activities with your girls. Read more about changes this year on the blog. July 27-29 – Girl Scout Days at Elitch Gardens, Denver. Join us for our annual weekend at the park for our best Girl Scout ticket price. Cost is $25.99/person. Aug. 4 – Girl Scout Night with Colorado Switchbacks Soccer, Colorado Springs. Girl Scouts, friends, and family can enjoy discounted tickets and cheer on the Switchbacks as they take on the OKC Energy. Aug. 12 – Girl Scout Night with the Grand Junction Rockies Baseball, Grand Junction. Cheer on the Grand Junction Rockies as they take on the Helena Brewers! Registration information is coming soon! August 26 – Scout Day with the Colorado Rockies, Denver. Girl Scouts: preparing girls for a lifetime of leadership, success, and adventure. Check out our incredible new PSA ,”Lifetime of Leadership,” which celebrates notable Girl Scout alums and their amazing accomplishments and is narrated by Girl Scout alum, Queen Latifah.The incredible women featured in the video – including U.S. Senators Tammy Duckworth and Susan Collins, Melinda Gates, Dolores Huerta, and Tyra Banks – serve as role models for today’s girls and young women, and they powerfully reflect the impact Girl Scouts have and what they are truly made of. Please share it on your social media channels to show how @girlscouts and @gscolo have been taking the lead for more than a century. Show it to your girls at a troop kick off – it’s truly inspiring! Be sure to use #becauseofGirlScouts when sharing your Girl Scout story. Attention Troop Leaders: If you want to save any information from your 2017-18 year plan, or if you have started planning for your next troop year, please download and save or print all information (meeting plans, meeting or activity notes, badges/Journeys earned, attendance records) no later than Thursday, June 28. The Volunteer Toolkit will automatically archive all information stored in the toolkit on July 1, but any year plans for the upcoming Girl Scout year will not be saved. It’s best to download and save or print all information that you want to keep. You will not be able to access any tabs in your Volunteer Toolkit (VTK) from Friday, June 29 through Friday, July 13. During the same time period, all volunteers and family members will still have access to myGS, Member Profile, to renew memberships and update member information. If you have any questions, please contact your Volunteer Support Specialist. We are seeking Seniors or Ambassadors interested in joining OGAB for the 2018-19 membership year. 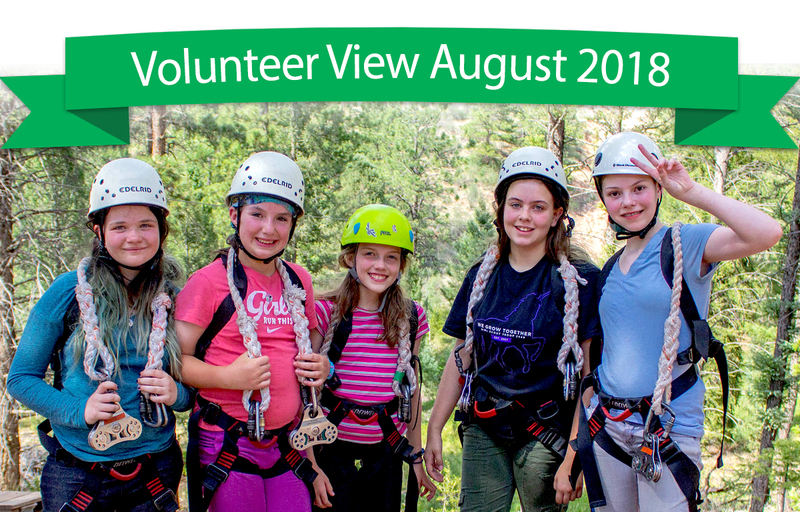 OGAB members have the opportunity to provide direct feedback of current and future programming, participate in leadership and development workshops and serve as the voice for Girl Scouts across Colorado. Strengthen your outdoor skills and ignite your passion for environmental stewardship at the 2018 Older Girl Outdoor Journey Weekend at Sky High Ranch on Sept. 21-23, 2018. Session highlights, see our camp website for more information! OAC 2018-2019 passports opened May 21. Do you know of some families or troops who are still interested in camp? We still have some available spots! When it’s time to return to troop in the fall, please join the Membership Connection Committee (MCC) at a Leadership Summit or Super Saturday Training. For more information please visit lasted blog post. Want to feel confident about handling conflict situations in your troop? Log-in to our online learning site to access our Conflict Fluency training. The class offers guided instruction on managing and resolving disagreements, along with a workbook that you can download, that offers a variety of situations and multiple solutions to equip you with how to handle issues as they arise. June 30 – No Man’s Land Film Festival, Grand Junction. Cost: $15 Girl Scouts, friends, and family are invited to the No Man’s Land Film Festival at the Avalon Theater in Grand Junction, June 30. The festival features films about women athletes and adventurers. A panel discussion is planned before the film screenings.